Dedicated to improving the student learning experience, six prominent UK-based higher education institutions have signed up to RefME Institute. Launched in May, the premium institutional edition of the research and referencing tool is now available to whole university communities and gaining fast adoption. 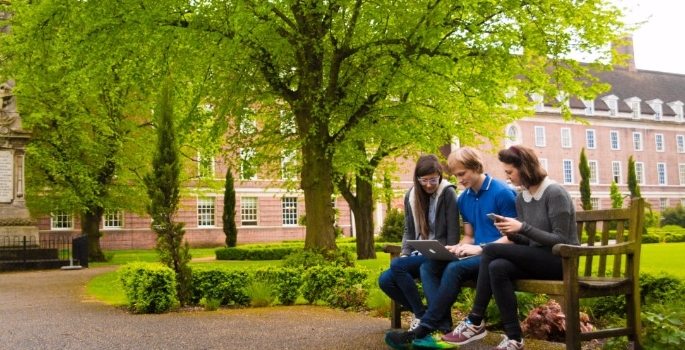 Edge Hill University was the first institution to partner with RefME, and shortly after Sheffield University and University for the Creative Arts followed. University of Southampton, Southampton Solent University, Nottingham Trent University and Buckinghamshire New University have joined in very recently. RefME is looking forward to long-term relationships with each of the three universities, who will provide ongoing feedback on RefME Institute, suggesting future developments and improvements in line with student needs and institutional data requirements. The partnerships reinforce RefME’s drive to improve the student research experience and solve the pain of citations by providing a campus-wide research and referencing service fit for the whole university. The tool will be available to all students at each institution at the start of the 2016 academic year. With access to all the enhanced features of RefME Plus as part of their institutional license, students will be able to cite as they write using RefME for Word, organise their work with projects and folders, and convert printed text into digital with their smartphone cameras. A cloud-based solution, RefME Institute integrates easily with other institutional platforms and is accessible via single sign-on authentication, empowering entire university communities to improve the student learning experience. The University for the Creative Arts, offering hundreds of courses for every kind of creative specialism, is one of the early adopters of RefME Institute and will be rolling out the platform for all its students in September 2016. “The decision to move to RefME has been based on the informal work previously undertaken with the supplier on beta development projects and our knowledge and experience of the free RefME app. The University is genuinely excited about the development of our integrated working relationship and keen to see how RefME’s reputation for innovative problem solving, in this important area of a student experience, can deliver enhanced service provision for our diverse range of students and staff,” said Jan Conway. Stay tuned for further announcements that are set to be made regarding over a dozen additional UK institutions that are close to finalising partnerships with RefME Institute.